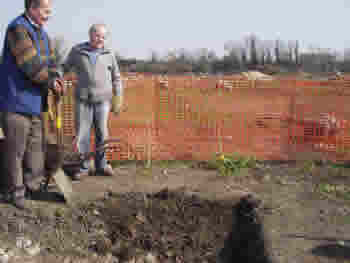 The first picture (below) shows two people looking at the ground with two red-topped sticks in the background. These indicate where the line of a mortar and flint wall should appear. Dowsing was used to identify where the wall should be. 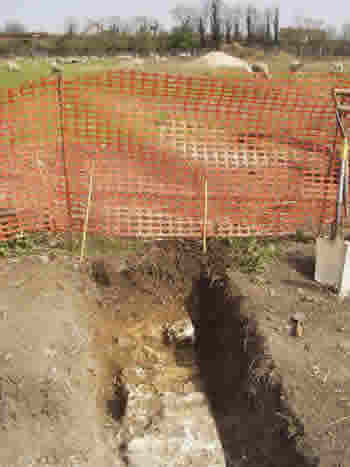 The second picture shows the excavated mortar and flint wall exposed a week later. As you can see it goes right between the sticks, showing that the dowsing was correct.